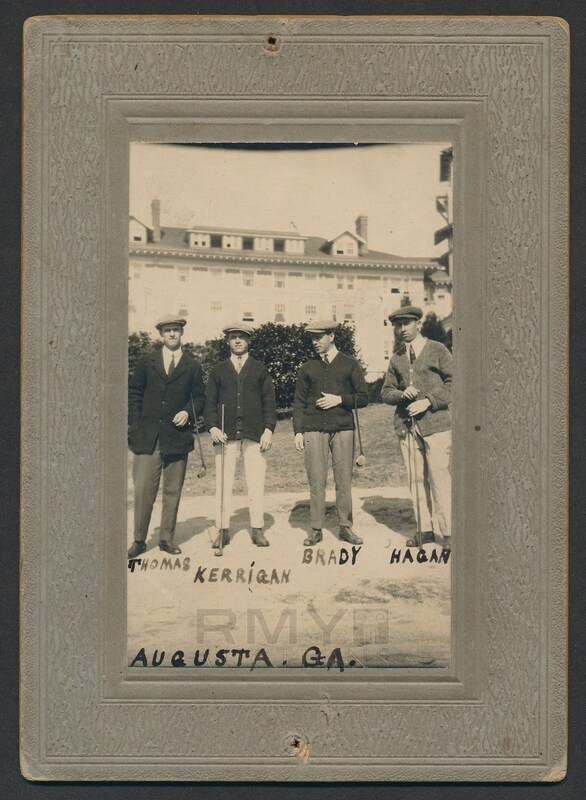 Original c. 1912 cabinet photograph of young golfer Walter Hagen at the Augusta Country Club along with his friends Ralph Thomas, Mike Brady and Tom Kerrigan. Posing in front of the clubhouse, this is from the estate of Thomas and it is a completely unique image being offered individually for the first time ever. 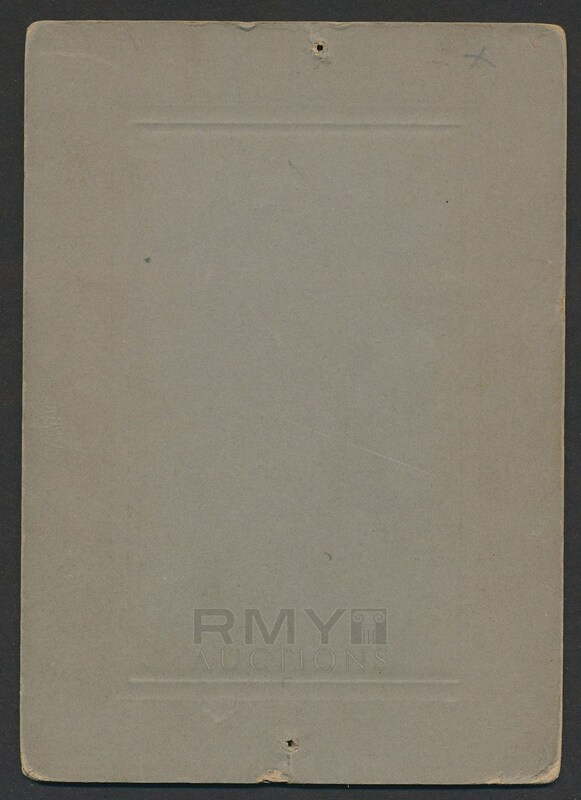 Without a doubt this is one of the earliest images of Hagen that exists and the photo portion is perfect with a few light pinholes at the top and bottom borders.